Great concept to pull together successful women of the world and learn from their adventures. As part of the Women of the World Festival 2016, I am inviting women to ignite their own adventurous spirits through the journeys of women explorers — past and present — who defied convention, pushed limits and travelled into the unknown. In this era of shrinking comfort zones and glitzy role models, I’ll be celebrating women adventurers — women who take a walk on the wild side and explore the world. I’ll be paying tribute to those before us who left inhibition at home and journeyed through a man’s world on awe-inspiring voyages; as well as today’s ‘adventuresses’ who challenge themselves on foot, bikes, skis; in boats, vans, planes…in the true spirit of adventure. 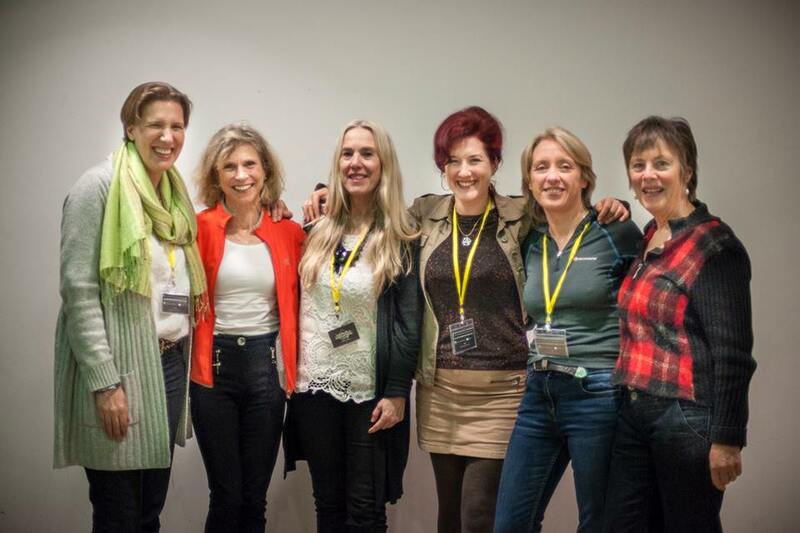 Today’s female explorers (l to r) Felicity Aston, Rosie Stancer, Jacki Hill-Murphy, Lois Pryce, Ann Daniels and Arita Baaijens at the Women’s Adventure Expo 2015.